Recharge Your Favorite Infiplay Games with Multi Game Card Now! 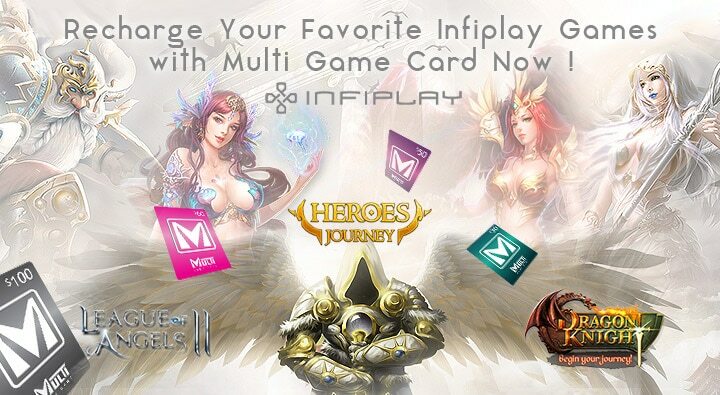 We are glad to announce that you can recharge your favorite Infiplay Games with Multi Game Card now! Get your Multi Game Card at discounted price to recharge your favorite Infiplay Games now!!! How to Recharge via MGC – Click HERE. Where to Buy Multi Game Card – Click HERE. With over 10 years of industry experience under our belt, we are one of the pioneers amongst the global MMORPG distribution service providers, rendering 24/7 service to clientele from Asia, Europe, America, and the Middle East. Explore Castle Clash with other Clashers around the world! Should You Buy a PlayStation Gift Card Online? MapleStory – Spring Surprise Style Box is here! Copyright © 2019 OffGamers. All rights reserved. All product names are trademarks of their respective companies.